Samsung Electronics have confirmed that it will announce its next strategic Smartphone ‘Galaxy S7’ in January of next year, which is actually month earlier compare to first announcement date of previous Galaxy series. This is Samsung Electronics’ plan to block off effects of new iPhone that have recently started by marking Galaxy S7 as a flagship Smartphone brand that opens fire for the first time in a new year. Samsung Electronics is also having a command of a new business strategy by breaking down an application processor (AP), which is a major component of a Smartphone, so that current flagship (premium) models can be divided into ‘Premium’ and ‘Sub-Premium’. 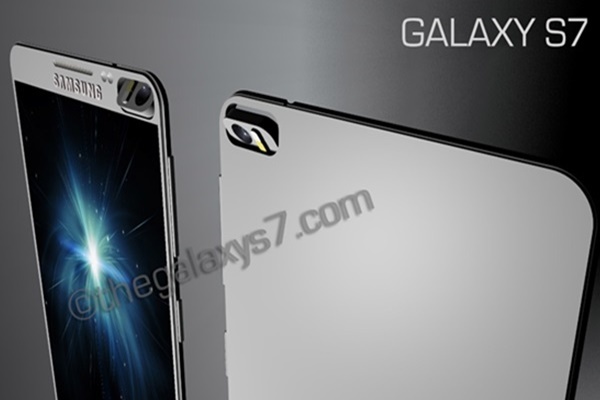 According to many people that are in parts industries, Samsung Electronics have decided on January to be a month when it will announce its new product Galaxy S7 and have entered into preparing production by mediating supply and demand of each part and others. It is known that it had already finished preparing designs for detailed products by end of September. A part that will change the most in Galaxy S7 is an application processor that is considered as the brain of a Smartphone. Samsung will load a one-chip version that combines modem and AP into a previous version and load modem and AP separately into a sub-premium version. With an announcement of Galaxy S7, Samsung Electronics will divide premium models into ‘Premium’ and ‘Sub-Premium’, which means that it will break down current ‘Premium-Mid-Range-Low-End’ category into ‘Premium-Sub-Premium-Mid-Range-Low-End’. This can be seen as a strategic move by Samsung Electronics that it will establish a premium brand image that is one step higher than its competitors by strengthening its premium lineups. Even in mid-range AP markets, it can keep its competitors such as Qualcomm, Mediatek, Hisilicon and others in check with its sub-premium models that have higher performance. This can be seen as its strategy to capture enhancement of brand image and expansion of sales at the same time. It also can be seen as will of Samsung Electronics, which is a relatively newcomer into mobile AP, to promote its own AP ‘Exynos’ as the best brand. Instead of ARM core, Samsung Electronics also applied its own core ‘Exynos M1’ into its premium product lines. AP manufacturers such as Apple, Qualcomm, Mediatek and others use their own cores to optimize performance of their own chips so that they can differentiate their chips by reducing power consumption and increasing performance more than standard designs that are provided by ARM. Samsung Electronics’ core ‘Exynos M1’ is known as a project ‘Mongoose’ by industries. Samsung Electronics had decided to first apply its Mongoose Project into premium version one-chip for Galaxy S7 and decided on its name to be ‘Exynos M1’. This can be seen that Samsung’s AP business, which had been working incredibly hard to increase performance of AP and modem one-chips, now has a considerable amount of technology levels. Industries are taking note of the Samsung Electronics’ changes in finished Smartphone products and parts businesses that will change starting from next year. “Although Samsung Electronics, which had been insisting on premium models, have worked preoccupy inexpensive Smartphone markets by releasing variety of inexpensive product lines recently, its AP business has not yet caught Qualcomm and Mediatek. By using its strategy to differentiate its performance with its parts from premium and inexpensive markets and pushing forward release dates of products, it will be able to increase both of its sales and power of its brand at the same time.” said one person in industry.